Filled with all of the wonderful ingredients we have come to expect from The Panto Company USA — lots of laughter, stunning costumes, music and plenty of magic — the ensemble comes to the Harris Center for two family-friendly shows this season. 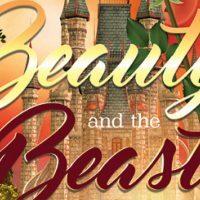 In Beauty and the Beast, the beautiful Belle finds herself in a spellbound castle held captive by a beast…does she fall in love with the Beast before the last petal falls? Or will the Beast’s selfishness cost him the world he once knew?